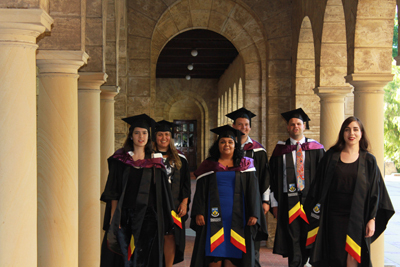 From 1988 to 2012, UWA established a successful entry pathway into Law degree studies for Indigenous people. Up until this time, Law was an undergraduate course. Law is now a postgraduate qualification (JD or Juris Doctor) and a ll students wanting to study Law are now required to have completed an undergraduate degree to gain entry to the Juris Doctor. As of March 2017, 60 Indigenous people have graduated from Law at UWA. These graduates are working as barristers and solicitors, policy advisers and academics. As students wanting entry to Law are required to complete an undergraduate degree, WACE students should apply through TISC for a place in Arts, Commerce, Science, Biomedical Science or Philosophy. The ATAR for direct entry to all undergraduate degrees (except Philosophy) is 80. Indigenous students who complete WACE and achieve an ATAR of 70 – 79, can gain entry to an undergraduate degree at UWA through the Provisional entry scheme (School of Indigenous Studies’ alternative pathway). Suggested majors in the undergraduate studies include Law and Society, Business Law and/or Indigenous Knowledge, History and Heritage. However it is important that students intending to enrol in the JD choose majors and subjects in which they are interested to ensure they achieve the grade point average for entry. WACE applicants can also apply through TISC for a guaranteed place in Law through the Direct Pathway. The ATAR required for the Direct Pathway is 97, however Indigenous students can be considered by applying through TISC as well as the School of Indigenous Studies. For more information on the Direct Pathway, go to the Law school website or contact the School of Indigenous Studies. Students who complete an bachelor's degree are eligible for entry into the Juris Doctor, which is a three-year post-graduate course. Students with a bachelor's degree will be required to sit the SIS Law Admissions Test in December the year prior to admission. Applications for the JD are available here. A test that assesses potential students' abilities to problem-solve and analyse a case. An evaluation of the applicant's academic transcript from their undergraduate degree. Applicants are required to have a GPA of 5. An interview with SIS's Testing Panel, comprising academic and Student Services Staff. An evaluation of the applicant's Curriculum Vitae, which includes professional, community and academic achievement. Please contact Mel Thomas in the first instance if you are an Indigenous graduate wishing for a law career.